Where can you stream The Long Road Home? 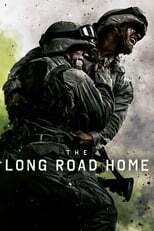 On 2017-11-07 War & Politics TV Series The Long Road Home first aired on National Geographic. Written and created by Mikko Alanne, and produced by Phoenix Pictures, The Long Road Home has ended and last broadcasted on 2017-12-19.